Here is a superb and sublime gift from me to you, a host of golden recipes. All you have to do is just click on the recipes. You will find all you need to cook. In the recipes of meat, this finds a different place which tends towards South Asian dishes. A delicious meat dish with a flavor of pickle. This is a famous Chinese dish for which I have developed a global taste so that people of the East and West can taste it equally with satisfaction. A healthy vegetarian dish made with soy chunks. 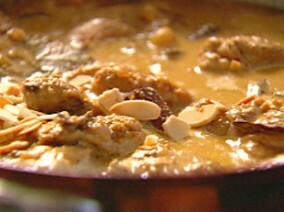 This is one of the most popular Arab dishes made with meat and cereal. In the holy month of Ramadan it is made in almost all Arab houses. A delicious vegetarian dish cooked in a creamy sauce. 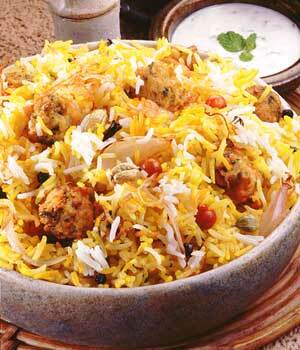 This is the most famous dish in the sub continent of Asia. It is prepared on almost all important occasions and festivals. 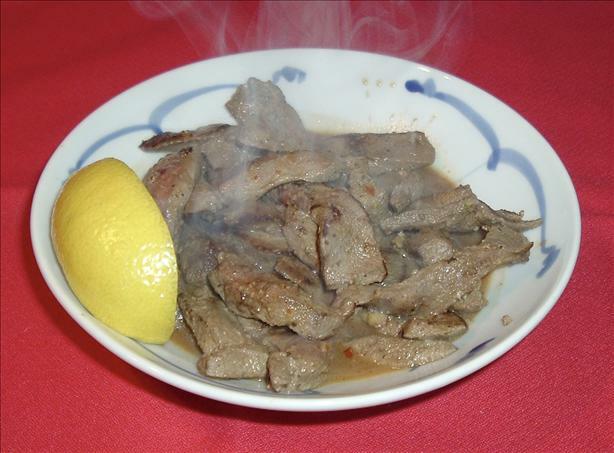 It is the kind of dish in which meat and rice are cooked together. 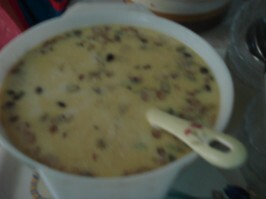 It is a sweet dish which contains vermicelli with milk and dry fruit. 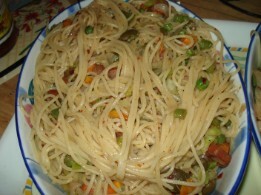 This is one of the oldest recipes which is in use for more than 5 decades. It is a reddish hot and spicy gravy. The dish originated from Yemen and is one of the most popular dishes in the Arab world. Serve with hot salad (salatha har) and roast chicken. Among green dishes it is fresh, gingery and exclusively good for breakfast when served with parathas (flat bread). This is one of the most common dishes in the East. There can't be a wedding or birthday party without it. 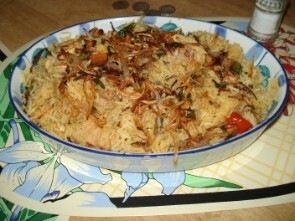 A delicious dish made with chicken and rice. There are hundreds of fish curry recipes but this spicy one tells a new saga unheard. 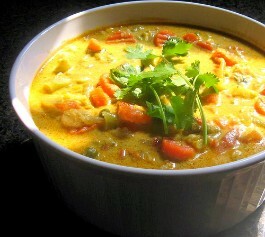 Among curries this is one of the most popular dishes. 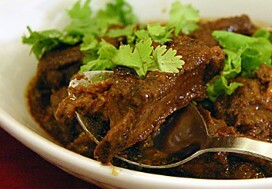 Even in the form of curry the strong flavor of mutton fry is maintained with its aroma that of biryani. The simplest vegetarian recipe in minutes. 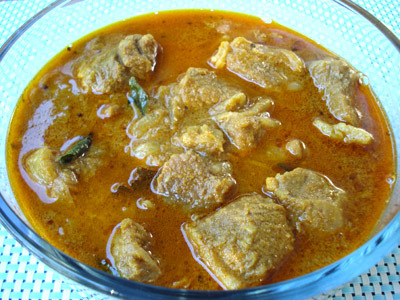 A delicious meat dish cooked in creamy gravy. 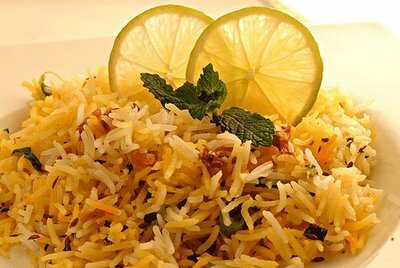 Jeera rice is a simple and delicious rice dish cooked with cumin seeds. The plain jeera rice and koftas (meatballs) together is the perfect combination. As the very name indicates, it has its origins from the Mughal period. The aroma itself describes the rich and creamy dish. 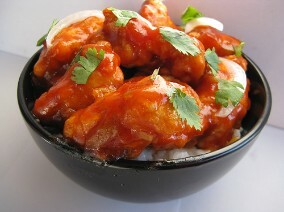 A spicy chicken recipe cooked in tomato and soy sauce. 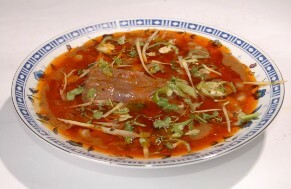 A delicious Pakistani dish made with meat and cereal. 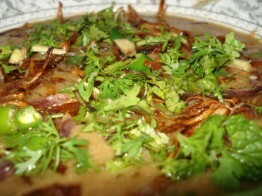 A delicious and popular Arab dish made with liver. 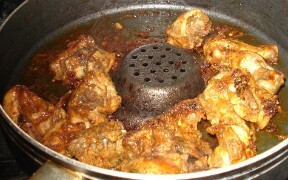 A spicy chicken / mutton dish cooked in kadhai (wok) . One of the most popular fish dishes. 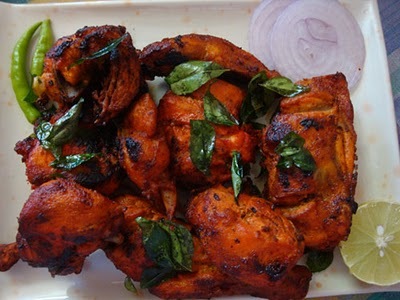 It's an international spicy dish especially in Hyderabad (India). It is served with kulcha (soft bread).